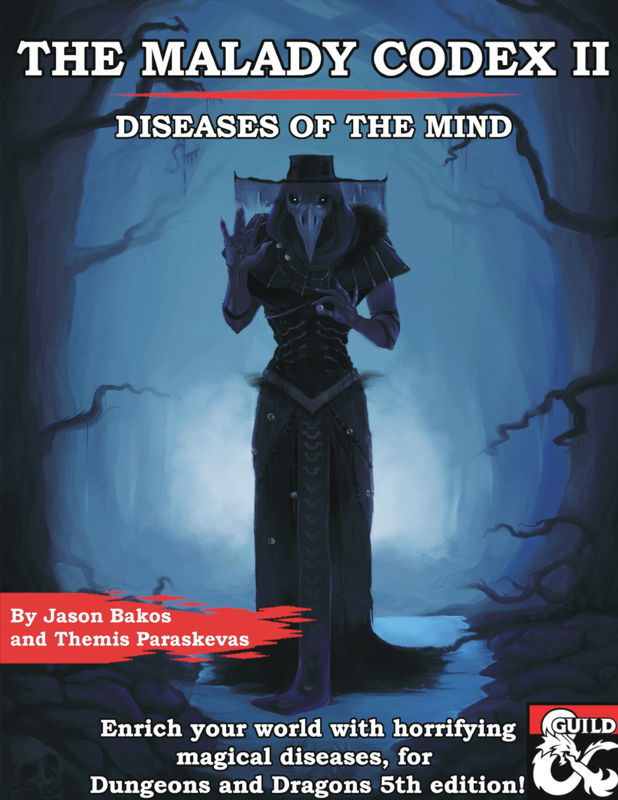 Click on the Illithid to discover two Mindlfayer-caused diseases, as a preview for this Malady Codex! Deep in each civilization’s roots, there are myths, remedies, and folklore, all revolving around the ailments that affect its people. When each Dungeon Master wants to expand on the details of the societies that unfold before their very eyes, tools that spice up the process become a vital weapon. This supplement will hopefully become one of them, as DMs become inspired by the grim, epic or mundane conditions of the human body and mind. This second installment of the Malady Codex focuses on diseases that affect thought, behaviour and emotions. These are dangerous aflictions of the mind and soul. As storytelling tools, their beauty lies in this very danger, becoming memorable obstacles that the heroes must overcome! Do not underestimate diseases. 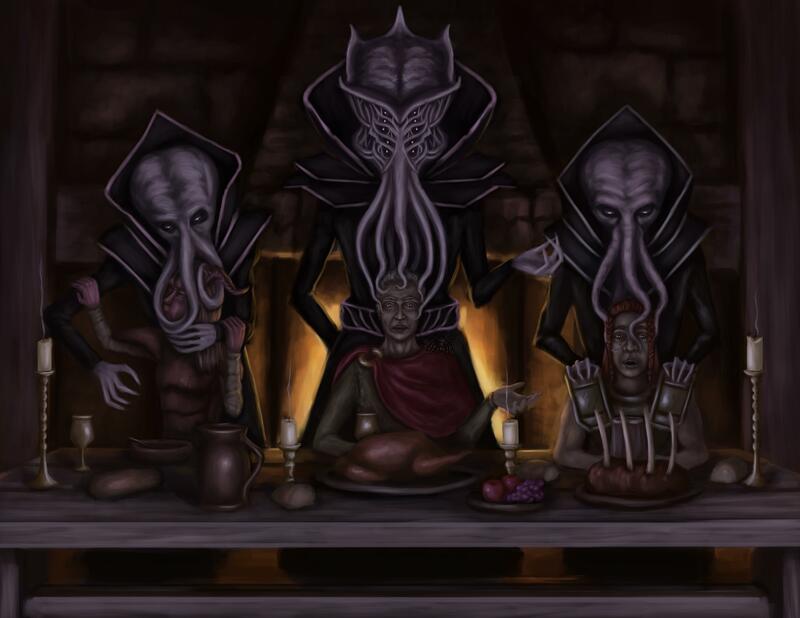 Part of the Dungeon Master’s art is to be able to stir feelings up in their players, and few human conditions could accomplish that better. Used as a way to advance a storyline, to expand a character arc or to create conflict, the following stories can serve you well! The Fugue State, Phreen, Apathetic Biting, Pestilence's Mockery, Ucul'thu's Wrath and the terrifying Chicken Soup! Details on the origins, symptoms, and cures for all these maladies. Tips on how to implement each one in your games, making your life just a bit easier. 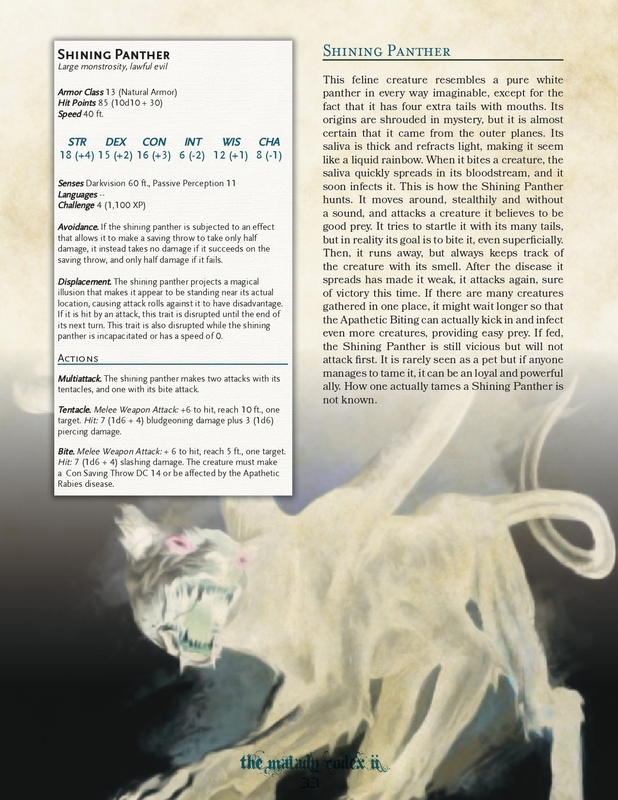 New monsters and items to challenge and reward your players with, including a Mindflayer-Dragon hybrid called Brainstealer! A useful table to consult when deciding what specific spells affect what disease. 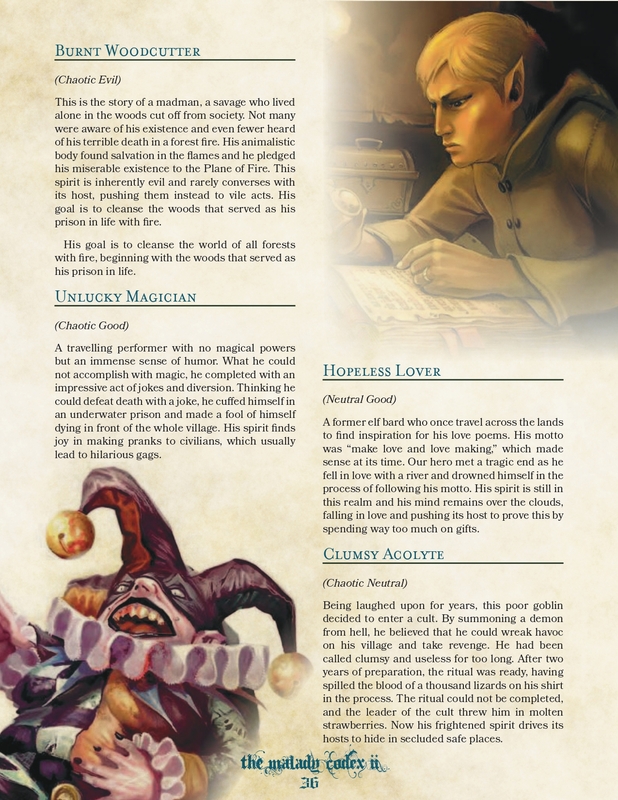 Thirteen distinct personalities to roleplay as voices in the heads of characters, ranging from harmless girls to corrupt wizards. Give your worlds a touch of fantastical realism and watch as your players dive deep into the stories you create with these tools! For thrilling adventures from the authors, check out the following adventures: King to an Empty City, where the exploration of a city devoid of life leads up to an epic battle with its king! The Encounter with the Edan Sha, a free encounter against a ruthless gang of thieves and their Helmed Horror. 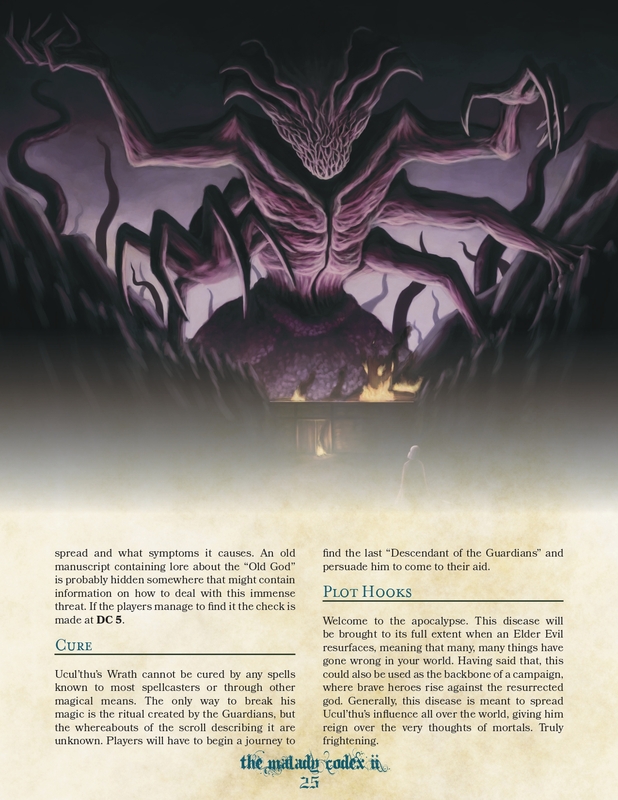 The Necromanteion, an innovative Dungeon Crawl based on the archeological findings of the homonymous Ancient Greek Temple. The Storm King's Barrows, a collection of 10 unique, exciting adventures set in the North. 4.5 Stars! 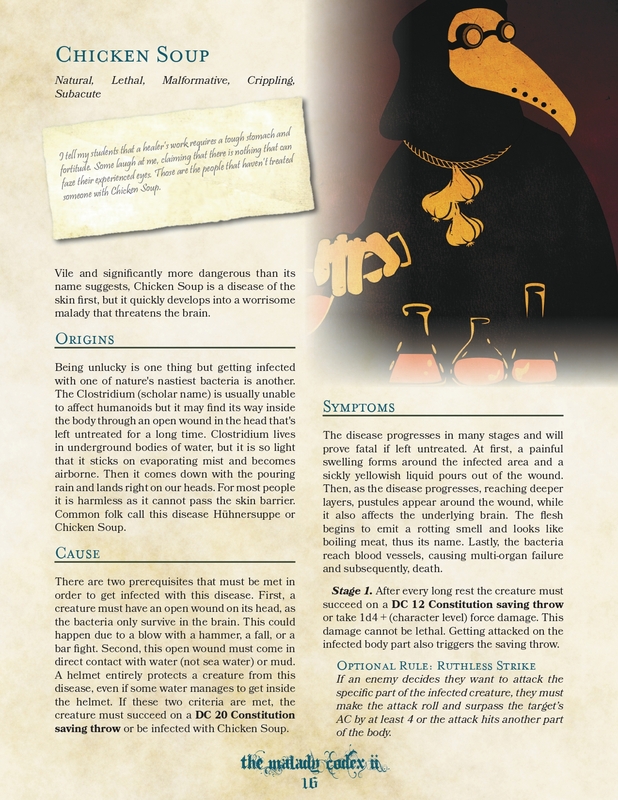 "The Malady Codex is back with Volume II, an expertly crafted compendium of mental ailments that will challenge characters and players alike....this brilliantly executed book will provide numerous opportunities for in-depth roleplay, problem solving, and narrative that will lead to immensely rich sessions and memories that will talked about in campaigns to come."